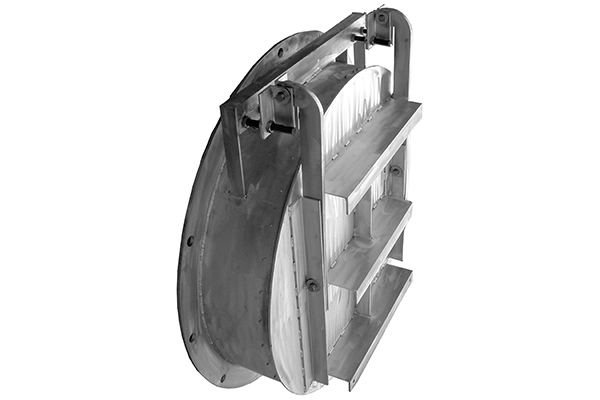 The Series 5900 Drainage (Flap) (Tide) Gates are a corrosion-resistant, rustproof, automatic drainage gate designed for use where light weight, corrosion resistance or tight sealing is foremost. Seating heads to 30 feet. Flatback for mounting to headwall, or flangeback to mate with wall thimble. Spigotback for mounting to pipe. (CMP, PVC, HDPE). Lighter weight reduces installation costs. J-bulb neoprene adjustable seats provide excellent sealing against return flow.